USCIS has recently announced that applications for expanded Deferred Action for Childhood Arrivals (DACA) will begin to be accepted starting February 18, 2015. Applications will not be accepted before this date. President Obama has expanded the population eligible for DACA to unlawful individuals who entered the country before the age of 16, and who have continuously resided in the United States since January 01, 2010 regardless of their current age. The expanded DACA program will grant eligible applicant’s an employment authorization card and ‘deferred action status’ that is good for a period of three years. Previously, DACA was only good for a period of two years, had stricter age and residency requirements. 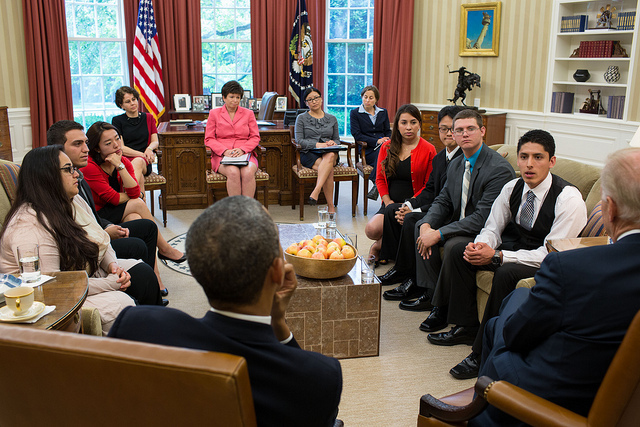 How is the Expanded DACA program different? We will continue to keep you updated as more information is released. As always our law office reminds you to BEWARE OF SCAMS. Only seek legal advice from an accredited legal representative. Note: Applications for Deferred action for parents of U.S. citizens and lawful permanent residents (DAPA) will not be accepted until Mid to Late May. Be wary of Scams.